The “Knossos Palace” cruise ferry of Minoan Lines has returned to its Piraeus–Crete scheduled itineraries, following its environmental upgrade that included the installation of an exhaust gas cleaning system, also known as scrubbers. The company announced that Heraklion and Piraeus are once again connected with direct itineraries conducted by the “Knossos Palace” and “Festos Palace” cruise ferries, with departures from Heraklion and Piraeus at 9pm. 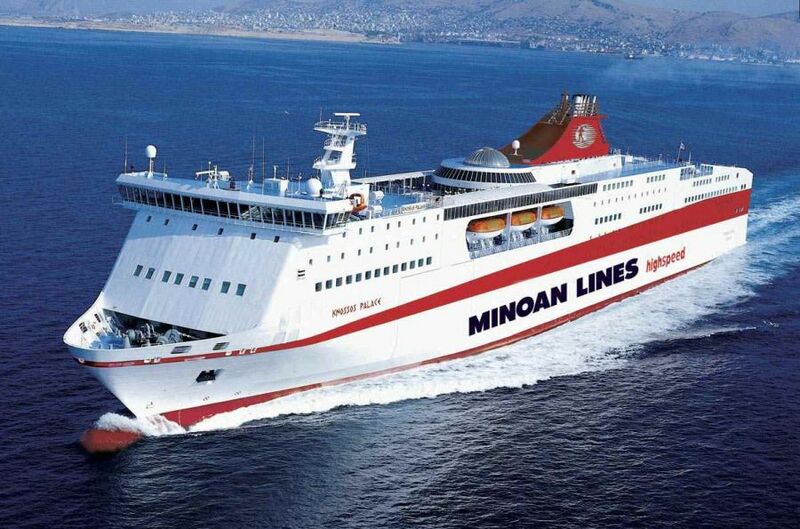 Minoan Lines also directly connects Chania and Piraeus, with departures from the port of Souda (Chania) at 11.59 pm and from the Piraeus port at 4 pm. Minoan Lines has upgraded its vessels on time to comply with the new International Maritime Organization (ΙΜΟ) Fuel Regulation – effective as of January 1, 2020. The luxury “Knossos Palace” ferry recently returned to Piraeus from Malta’s shipyards after installing scrubbers, a set of pollution control devices used to remove some particulates and/or gases from exhaust streams. In February, the company installed scrubbers on its “Mykonos Palace” cruise ferry.